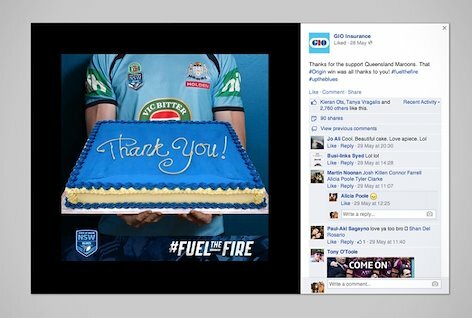 After an 8 year losing streak, NSW needed a new motivation in order to beat their Northern rivals in Australia’s most trying series of football. 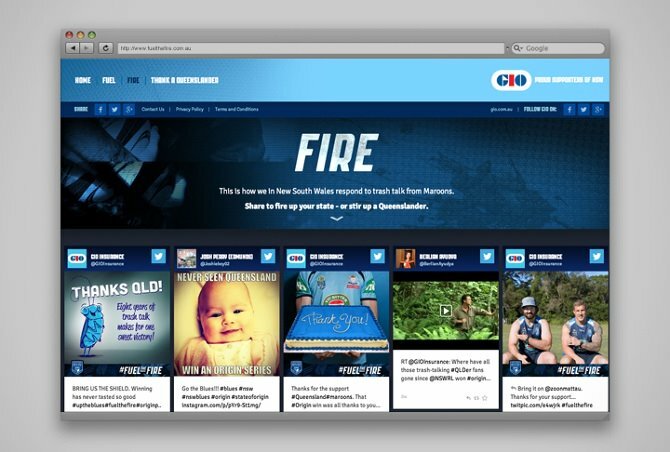 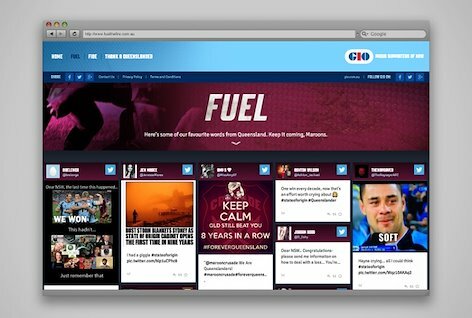 Fuel The Fire used Queenslander’s words as fuel for our team, with real-time responses and a live feed throughout the three games. 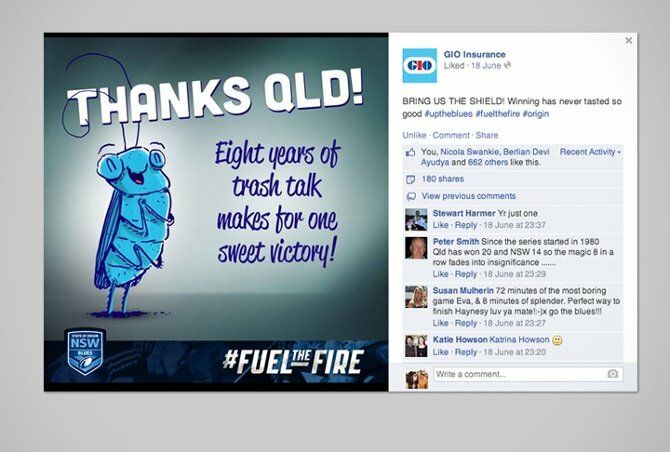 It was a massive win for the client, GIO, who owned share of voice both pre- and post-match and had new skin in the game.